Nipton is an unincorporated community with a population of about 15 - 20, in San Bernardino County, California, on the northeastern border of Mojave National Preserve, approximately 12 miles southeast of Primm, Nevada and the Ivanpah Solar Power Facility. It is accessible via Nevada State Route 164 (also known as Nipton Road). Nipton was founded on February 9, 1905, with the coming of the first train on the newly constructed San Pedro, Los Angeles & Salt Lake Railroad. It was called "Nippeno Camp" following a nearby discovery of gold. The name was changed to Nipton when the San Pedro, Los Angeles & Salt Lake Railroad merged with the Union Pacific Railroad around 1910. In addition to being a cattle-loading station for several local ranches, the town and depot also supplied numerous mines in the area, becoming a social center for the sparse population of the region. In September 2017, Nipton was purchased by American Green Inc., for $5 million USD with plans to turn the town into a cannabis tourism destination. The CEO of American Green Inc hoped to make this into the first "Pot Town, USA". American Green Inc. sold the town in March 2018 after failing to attract the capital investment necessary to continue the project. The town was sold to Delta International Oil & Gas for a total of $7.7 million USD in debt assumption and Delta preferred stock, along with a provision that it continue with the project to transform the 80-acre town on the edge of the Mojave Desert into a cannabis-themed resort. Early facilities included a school, a U.S. post office, a voter precinct, and several small businesses. A five-room adobe hotel was built in the Mexican Territorial style in 1910. Nipton also has two historic residences, the Nippeno House and the Hermitage House. The area has a lot of sunshine year round due to its stable descending air and high pressure. According to the Köppen Climate Classification system, Nipton has a hot desert climate, abbreviated "Bwh" on climate maps. ^ "Nipton". Geographic Names Information System. United States Geological Survey. Retrieved April 8, 2015. ^ a b Rosalie Murphy (August 4, 2017). "A marijuana company is trying to buy a tiny Mojave Desert town". Desert Sun. Retrieved 4 August 2017. ^ Jennifer Kaplan (August 3, 2017). "Cannabis Grower Buys California Town to Build Pot-Friendly Outpost". Bloomburg News. Retrieved 4 August 2017. ^ Associated Press (March 27, 2018). "Cannabis company sells California town it envisioned as a marijuana resort, but pipe dream isn't dead". Los Angeles Times. 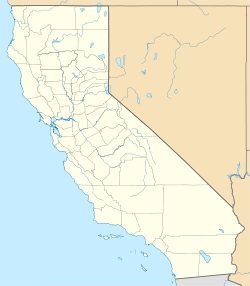 Wikimedia Commons has media related to Nipton, California.